Because internet users spend so much time on social media, social networks have a decidedly strong impact on users’ lives. Instagram, which has over 400 million active accounts, is a major one. That’s why our recent update is so important. Now you can get data on your competitors’ Instagram profiles and compare the results in all available reports. The reporting type and its functionality for this social media service mirrors all the previous ones. 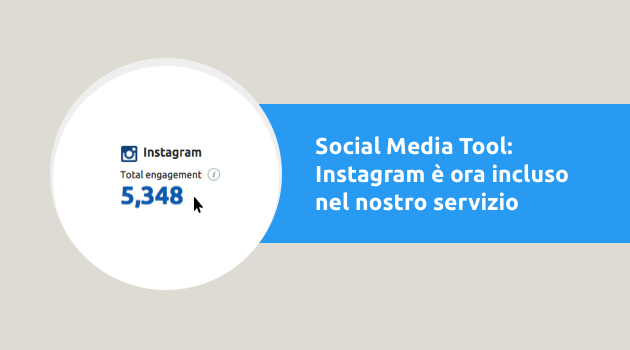 In the Overview report you’ll see the number of followers and posts, along with the Engagement summary, which will tell you how many times users liked or commented on your Instagram posts during a selected time period and how this number changed compared to the previous period. 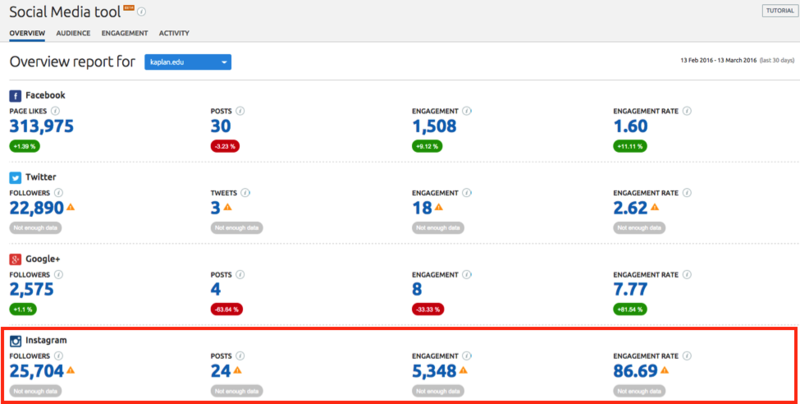 And the Engagement rate shows you how well the audience interacted with the published content. The Audience report will provide you with a detailed audience comparison overview for your company and selected competitors on Instagram - either for your entire audience or for a particular social media service. Under the Engagement report section, you will see that the number of shares has been omitted, as Instagram doesn’t support this option. 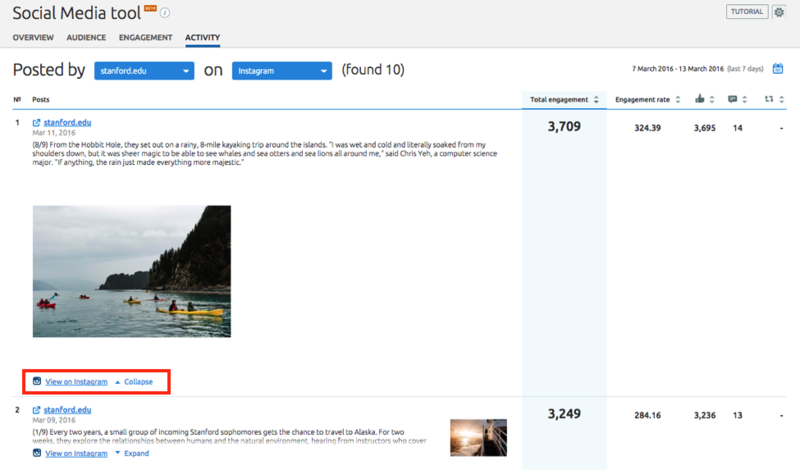 Finally, the Activity report displays a list of all the published photos with options for expanding/collapsing each post or viewing it directly on Instagram, which allows you to get a much better understanding of how successful your or your competitors’ social media efforts are. Instagram offers various brands a rich space in which to engage with their target market and build awareness. And you too should start taking advantage of it! We hope you like this new addition. Please let us know if you have any ideas or suggestions for the Social Media tool by sending us an email at [email protected].